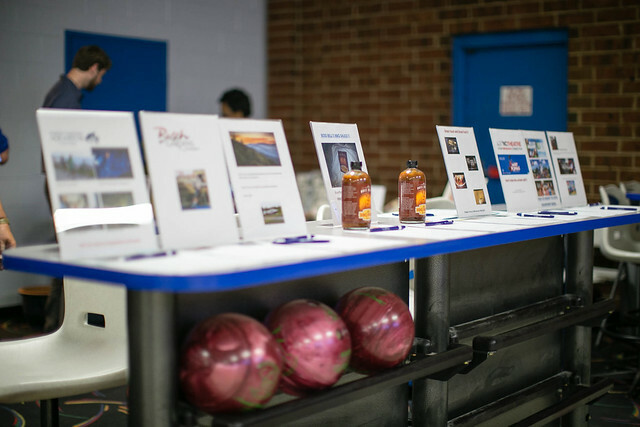 Join the State Employees Association of North Carolina Scholarship Foundation as we host a Bowl-a-Thon to benefit our scholarship program. PRICE: $20 per person or $100 per team of six (Shoes are included). Check out the video from a Bowl-a-thon below. Participate in the silent auction for a chance to win fantastic prizes! In addition, trophies will be awarded to the top-scoring team and the lowest-scoring team at the end of each time block. Please note that only the first game will be considered for scoring purposes/trophy awards. Proceeds will go towards educational scholarships for SEANC members and their dependents. Check out our pictures below. *Hoover over the picture below and click the arrow to scroll through pictures.